Natural-looking results for up to 4 months. Prescription Dysport® is an injection used to improve the look of moderate to severe frown lines without changing the look of your whole face. The untreated facial muscles still work normally, allowing you to freely show facial expressions in untreated areas. For up to four whole months, you can have the fresh look you want. 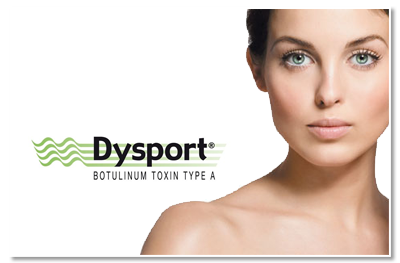 With less than 20 minutes treatment time, Dysport® works to block the signal from the nerve to the muscles, resulting in a reduction of muscle activity and temporarily preventing contraction of the muscles that cause wrinkles. Find out more about Dysport.